Are there products that you didn't like the first time you used it and then you've changed your mind after giving it another chance? I think I have a lot. You see, I must confess that some of the makeup products that I buy is usually out of curiosity, or I just want to join the hype like everybody else. I knowww, that's bad. But then again, most of these stuff find their way to my heart. The second, or third time I use them, I just fall in love with it and so they make it to my HG list. Now the hardest thing is, realizing that the product is either discontinued...or limited edition. I thought I'll never be put in that situation again, until now. 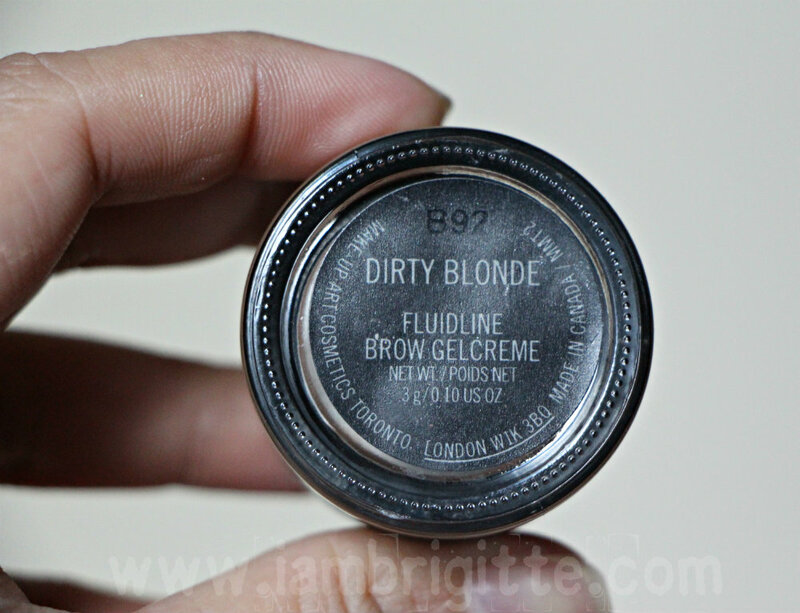 Long-wearing waterproof gel in a pot for giving precise definition to brows. 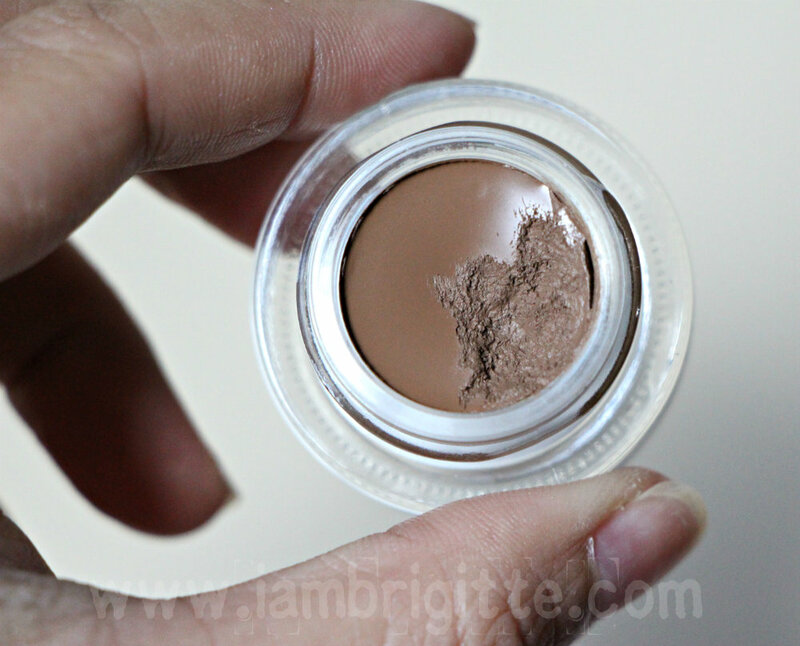 Applies smoothly, sets quickly for the ultimate well-groomed brow. Fills, lengthens and shapes for subtle to dramatic looks. When this came out early this year as part of the Stylish Brow collection, I just knew I had to get one. And I did, including the brow brush (MAC 208) that came with it. When I first tried it, I didn't like it. You see, I tend to be light-handed when I am drawing the shape of my brows. 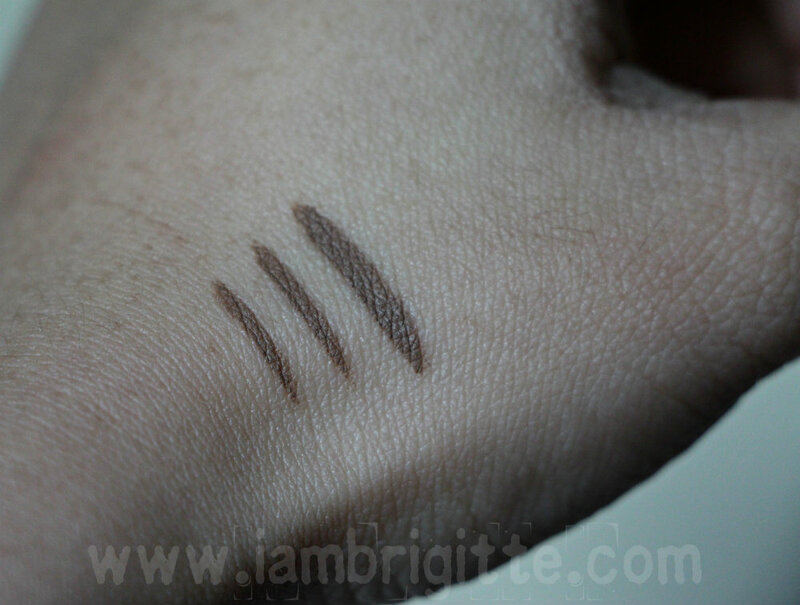 So when I used this to outline my brow shape, it came out too light. I continued to fill in my brows, with the same pressure, and was still unhappy. I don't have much hair on my brows and this only made it too obvious. By the way, I used the MAC 208. And so I set this baby aside for quite sometime (I knowww, I am that stupid) until one day I just can't seem to find where I put my usual eyebrow products and this is the only thing I could find. Frustrated, I used this again but this time using my HG eyebrow brush from Charm. And whoa, I changed my mind towards this baby that instant! So what I learned is that you have to have a bit of heavy hand when applying this...only if you have non-existent brows like mine. It also helps that the eyebrow brush that you use is dense, not as thin as the MAC 208 which I still use to draw my brow shape then go back to the Charm brush to fill in. If you have a lot of hair on your brows, then you ought to be light-handed when using this or else, your brows will just look darker. Now I'm not saying this baby is easy to use. This product sets and dries easily so if you happen to make a wrong move, you need to wipe it immediately or else you'd need a makeup remover to take it off. I don't recommend this for those who are newbies in drawing their eyebrows but hey, practice makes perfect! 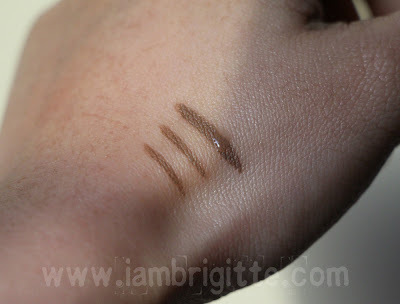 If you're not confident enough, try using a brow pencil first to outline your brow shape then use this to fill in. Go heavy-handed if you want to go dark, or use a light hand if you want the opposite. There were other shades available but Redhead is way too light for me and Deep Dark Brunette is well, too dark. I opted for Dirty Blonde because it's almost the same as my haircolor the time I got it. Now, I realized I just made the right choice since I can adjust the depth of the color depending on the amount of pressure I apply when using it. At the above photo, I rubbed the swatches after letting it set for a few minutes and they didn't budge. At the above photo, I placed the swatches under running water then rubbed the swatches again. It smudged a bit but they still look mighty fine! 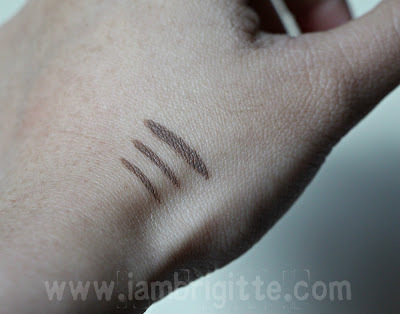 Using this assures you that your brows will stay put, the entire freaking time you want it to stay! Rain or shine baby! 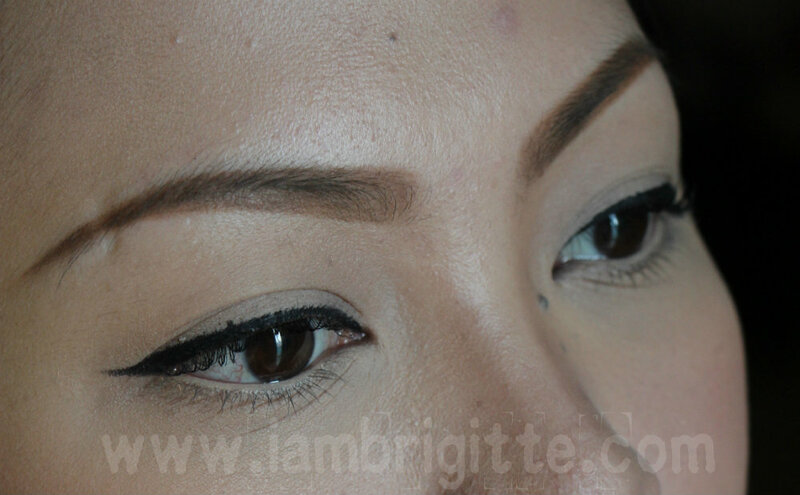 If you've watched my Eyebrow Tutorial, you'll see that I use a number of products to achieve decent-looking brows. With this baby, I don't need anything else! Aside from I don't have to spend more moolah on eyebrow products, I also get to save a lot of time! Yowza! Here's one thing that confuses me though. According to the product description from MAC, it "fills, lengthens and shapes..." Lengthens? Does this mean it is supposed to work like those lengthening mascaras? OR my brow hairs would grow faster? Anybody out there who can clear this out for me? Anyhoo, the only thing that should remain my concern right now is what would I do when I run out of this? I really hope MAC will make this permanent. Why on earth would you make something limited when it is this amazing!? Whyyyyy! 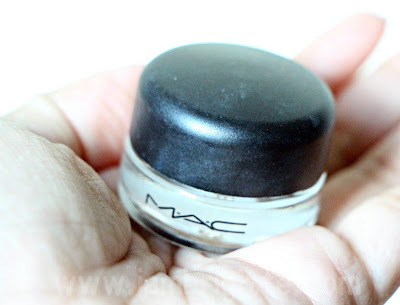 I've used Makeup Forever's Eyebrow Corrector in the past and I can say it works just the same, but I honestly prefer this one from MAC. Hopefully this will be like the Candy Yum Yum lippie that MAC decided to make permanent. Let's all cross our fingers, shall we!? great post and your eyebrows are so pretty! super like! i'll try it nga sa mac, I've been looking for an eyebrow product to replace my HG eyebrow pencil since we don't have Etude house here. Wow! I have seen that http://e-coupons.com.ph/coupons/zalora AND http://e-coupons.com.ph/coupons/lazada has lots of offers going on!